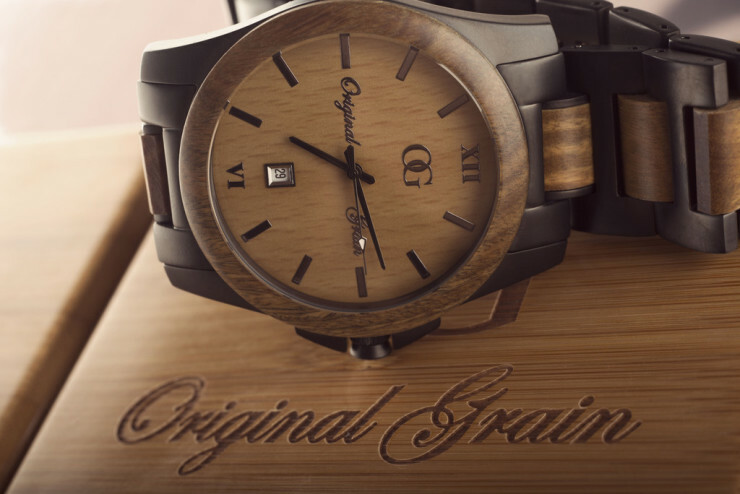 Original Grain Watches Are Gorgeous – A Hands-On Opinion | OhGizmo! Sure, beauty is in the eye of the beholder. But I’ve had an Original Grain watch for the last week or so and I have to say, it’s one of the most outstanding timepieces I’ve owned. It doesn’t have any high-tech features, but it does have one of the most eye-catching wooden constructions I’ve come across. The combination of matte black metal with wooden elements plays off wonderfully, and it’s nice to know the face is protected with solid sapphire crystal, as opposed to glass. This means it’s pretty much scratch resistant. They don’t do much more than tell time, but will attract attention and I think they’re definitely worth the roughly $200 investment. They come in Indian Rosewood, Maple, and Green Sandalwood flavours, and are water resistant. However, given the fact that wood is used, extended exposure may end up damaging the material so try not to abuse their water-resisting abilities.